This will make a 8×8 pan worth of fudge.You can use any flavor of confectioners’ coating that you want. Chocolate and Vanilla both taste great with peanut butter. Line an 8×8-inch baking dish with plastic wrap long enough to overhang the dish by several inches on each side. Place broken coating into a large glass microwave-safe bowl and melt on low power in microwave oven, about 5 minutes, stirring after every 30 seconds to 1 minute. 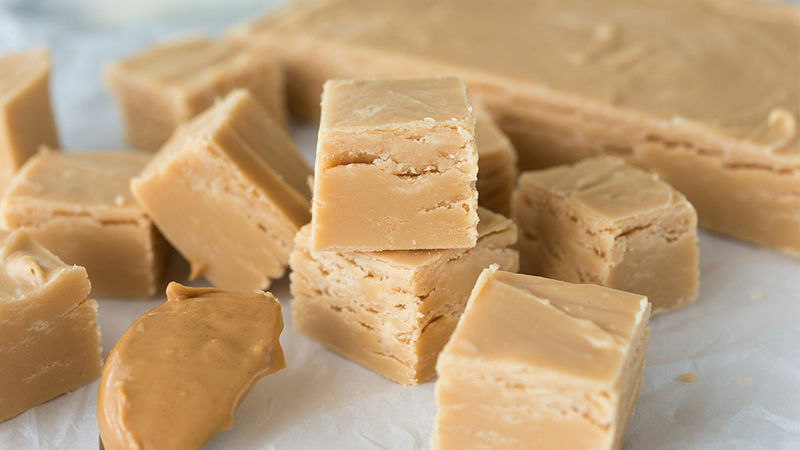 When coating is smooth and creamy, stir peanut butter into coating until fudge is thoroughly combined. Spread fudge into the prepared baking dish. Refrigerate fudge until set, 1 to 2 hours. 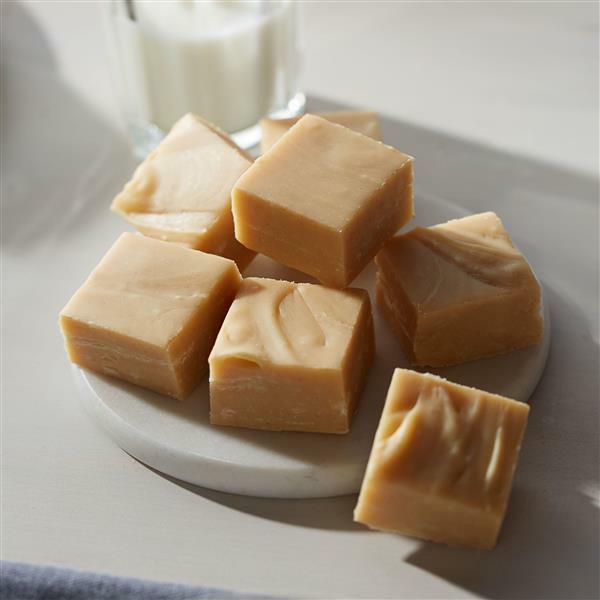 Lift fudge out of the pan using the plastic wrap for handles and slice into squares.